All our stables are hand crafted in our workshop in both standard and custom built sizes. We are able to provide a complete service including architects drawings and groundworks for your stabling. We offer two different ranges, both hand built to the same high standard. The Norfolk range is a ‘no frills’ range for the horse lover on a budget. The Westfield range is a superior range of stabling with many extras such as larger front canopy, superior internal lining and windows. The Westfield range can be upgraded to take a tiled roof. Your standard range of stables for those on a budget. Solid, well made stables for every horse lover. 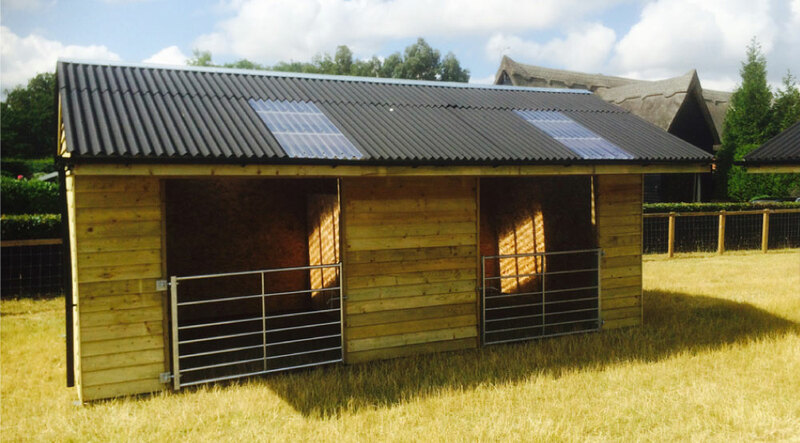 For those who want a little more than your standard stable with lots of horsey extras! All of our stabling is built to the highest standards, tailored as necessary for individual clients. 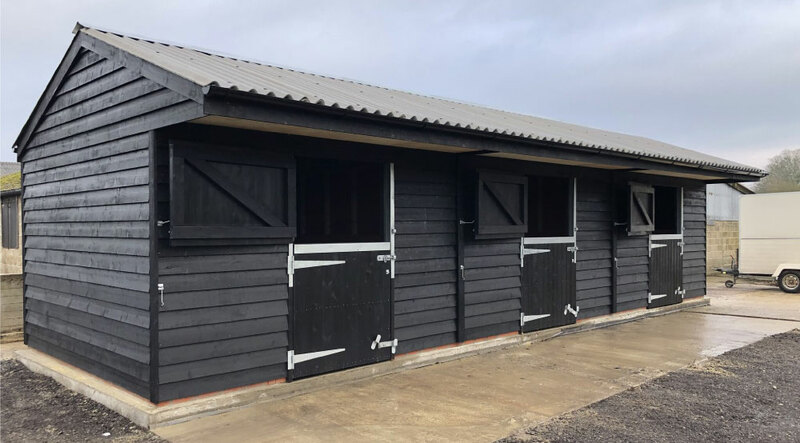 Whilst we offer many standard sizes and a standard specification, because our stables are hand-built we can fulfil any order, amending even the smallest detail to meet your requirements. In addition to hand building, delivering, and constructing high-quality stabling and stables, we are able to provide a complete planning and construction service, including architects drawings should you require planning consent, and ground-works to prepare the site. Tell us about your upcoming project and we’ll get back to you as soon as possible with more information.